The Knoxville Symphony League Designer ShowHouse will be held at Regas Square luxury condominiums in May with local designers creating beautiful settings in four different residential units. The 2019 Symphony ShowHouse, which will take place May 1-19 in downtown Knoxville, will include more than 7,000 square feet of decorated space on the sixth floor of the building, located at 333 W. Depot Ave.
Four Knoxville designers each have taken a unit to decorate in the newly constructed Regas Square, which will open for public viewing for the first time since the project was announced in 2016. Of the four units to be designed, three already are owned, and one will be available for purchase. From a two-story unit with soaring ceilings and a glass wall to a chic, urban luxury-themed bachelor pad, this ShowHouse will offer something for everyone. The Regas Square luxury condominiums blend classic and contemporary features with thoughtful, modern design. 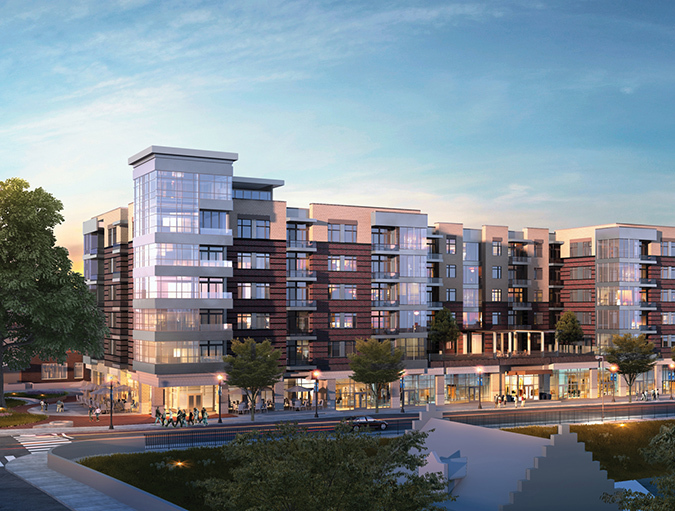 The six-story midrise offers 101 residential units atop ground-floor retail spaces. Each unit features private parking and storage, and residents can enjoy a fitness center, as well as indoor and outdoor entertainment lounges. The Symphony ShowHouse, now in its 32nd year, will be open for public tours every day except Monday. Hours of operation will be Tuesday-Saturday, 10 a.m.-4 p.m., and Sunday 1-5 p.m. Day passes are $20, and season passes are $30. Proceeds benefit the Knoxville Symphony Orchestra’s Education and Community programs. A Symphony ShowHouse Gift Shop, which will offer a variety of gift and home décor items for purchase, will be set up in one of the decorated units. The media sponsors for the 2019 event are WUOT 91.9, WBIR Channel 10 and the News Sentinel. The Knoxville Symphony League is a membership-driven guild of volunteers that has benefited the Knoxville Symphony Orchestra through a variety of fundraisers since 1952. The ShowHouse is one of the league’s biggest annual events and funds KSO programs that provide cultural and educational outreach in the community. For more information about the Symphony ShowHouse, visit knoxvillesymphony.com/showhouse. For more information about Regas Square, visit regassquare.com.